This entry was posted in New Releases, Uncategorized on March 29, 2019 by spillers. This entry was posted in Uncategorized on March 25, 2019 by spillers. This entry was posted in Uncategorized on March 15, 2019 by spillers. This entry was posted in New Releases on March 15, 2019 by spillers. This entry was posted in New Releases on March 1, 2019 by spillers. Please feel free to DM us on twitter, email us, post on our special facebook page https://www.facebook.com/events/245685929642034/ and come in and see us! There’s a lot on offer (more every year, as always) so have your say and help us pick the right quantity of the big releases and help us not miss a thing! We can’t wait to participate in another RSD and we are already putting our heads together behind the scenes to tweak and improve the running of the day, last year’s RSD was by far the biggest one yet (diolch 6 Music/Lauren Laverne!) but we do appreciate that it did impact on waiting times in the queue. There will be a maximum capacity at any given time but we really feel that letting you select your records will help speed up the shopping process and there will be loads more space for the stock to shine. As well as this we will have an additional card machine terminal which again can only speed up the process for our lovely (patient/tired/understanding) customers! And let’s not forget the special RSD entertainment of which more news TBC… But already we can tell you RSD at Spillers is not a day to miss. Side note – RSD is a huge financial gamble for all shops involved, yes it can be a great day (very much depending on what volume of “left overs” a shop is stuck with vs sales) but all stock ordered is firm sale to shops and non returnable and some orders are subject to massive cuts from order to allocation so we really can’t stress how valuable your feedback is to us!! This entry was posted in Uncategorized on February 28, 2019 by spillers. This is Kevin’s opus – a 2LP concept album on spirituality and religion. 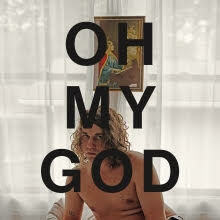 Throughout his four solo albums and myriad records of various collaboration, Kevin Morby has recognized in his work the ubiquity of an apparent religious theme. Though not identifying as “religious” in the slightest, Morby—the globetrotting son of Kansas City who has made music while living on both coasts before recently returning to his Midwestern stomping grounds—recognizes in himself a somewhat spiritual being with a secular attitude towards the soulful. 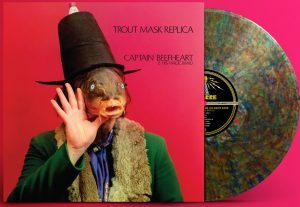 And so, in an effort to tackle that notion head-on and once-and-for-all, he sat down in his form of church—on planes and in beds—and wrote what would become his first true concept-album: the lavish, resplendent, career-best double LP Oh My God. This entry was posted in Dinked on February 27, 2019 by spillers.